The UK satellite operator is a logical target for private equity firms Apax and Warburg Pincus: the hard-to-value group could throw off loads of cash in a few years. Yet that depends on widespread take-up of in-flight broadband. Rivals may prevail, or flyers might not cough up. 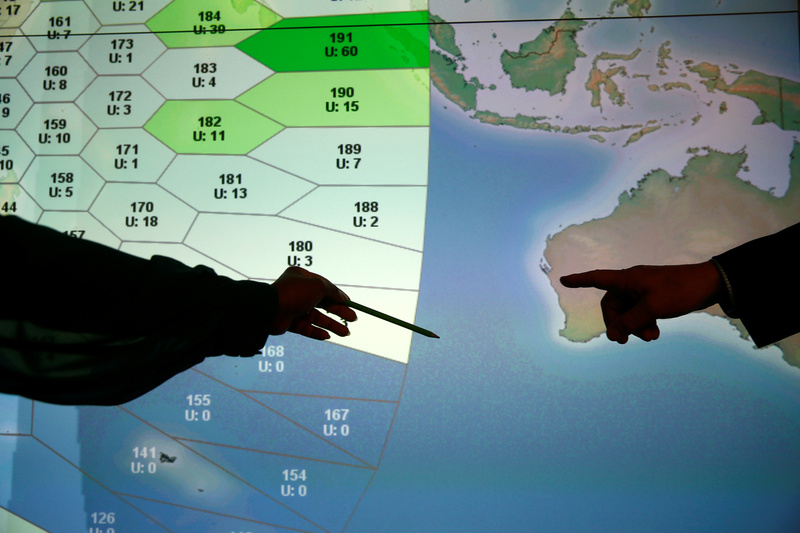 Members of staff at Inmarsat point to a section of the screen showing the southern Indian Ocean to the west of Australia, at their headquarters in London, Britain, March 25, 2014. Inmarsat on March 25 agreed to a $7.21-per-share cash buyout from a consortium comprised of Apax Partners, Warburg Pincus and two Canadian pension funds. The offer price, which includes a $0.12 final dividend expected to be paid in April, values the UK satellite operator at $3.4 billion, or 2.6 billion pounds. The bidders have pledged to maintain Inmarsat’s UK headquarters and keep its research and development spending “consistent with Inmarsat’s past practice”. Inmarsat shares were up 8.4 percent to 5.48 pounds, or $7.24, at 0910 GMT on March 25.